Mirror Walls Can you really overlook them? When trying to expand limited space, create openness, or bring light into a room, a mirrored wall can provide just the right touch. 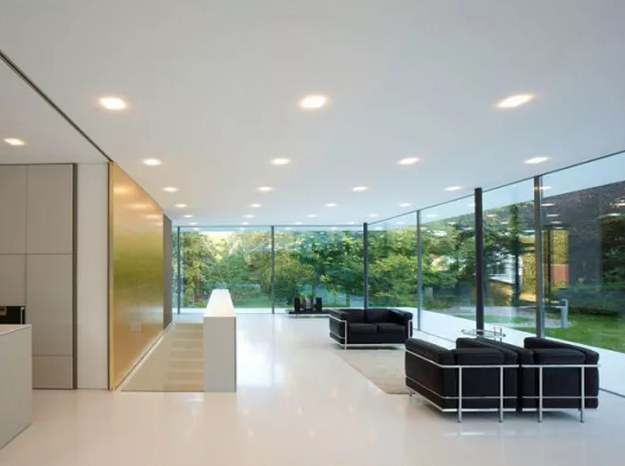 The reflective surface visually expands a space, making it feel twice as big. Good customer service is always sure from BKNY Glass and you can buy it from us here in New York. There are lots of people who would love to go and take their service since quality is excellent and people will enjoy their time. Mirrors can be applied on both whole walls as well as sections, creating different feelings with their spacing and position. Mirrored walls are common in workout facilities to allow patrons to see themselves as they exercise, but their popularity is growing as a decoration in a kitchen or living room, as they also bring in natural light and a sense of space through reflection. They are easy to clean as well as decorative. A wall mirror is a great simple way to expand on a room or an office, and can be altered through etching, color or other designs to increase its individuality and tie it into a theme or create a statement piece. In case you cope with clients on an each day basis, make certain to live affected a person when they arrive at you stumped and frustrated, but also make sure to make an effort to figure out what they want sincerely — they had rather get equipped provider than be rushed out the door! This is what we keep in mind so that you do not have a problem and that is the main reason for our growth. Attentiveness is the capacity to without a doubt concentrate to customers is so essential for providing an extraordinary career for some motives.